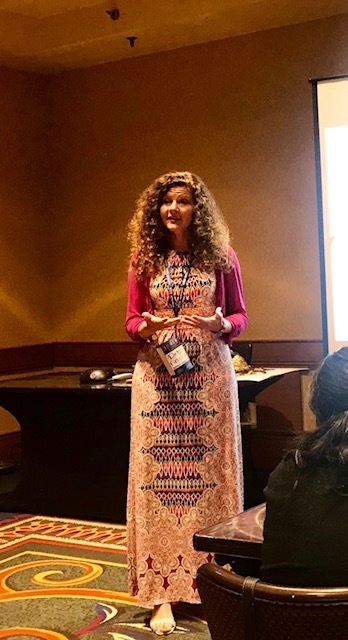 Debora C. Finch, adjunct faculty member in Belmont’s Honors Program and Adult Degree Program (ADP), presented at the Symposium for Part-time, Adjunct and Contingent Educators (SPACE) Conference in Atlanta this month. In its third year, SPACE brought together professors from all over the country to spotlight part-time faculty. Finch’s presentation, “Meeting Adult Learners in the Middle: Creating a Collegiate Space between Home and Work,” was inspired by the ADP course Intellectual Growth and Inquiry. She has taught this introductory class for all new adult degree students at Belmont for over a decade. Specifically, her presentation focused on national trends for non-traditional students and how instructors can be strategic to tailor instruction so it helps adult learners both fit in and stand out.